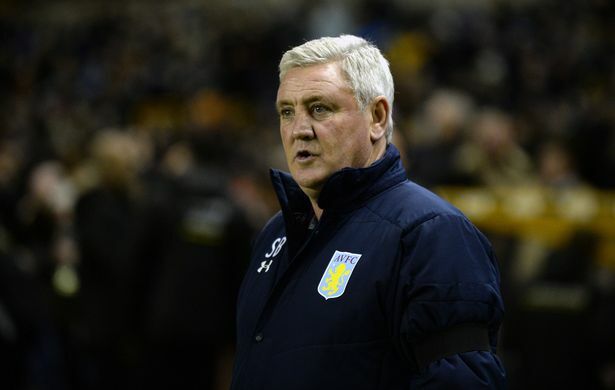 Aston Villa manager Steve Bruce is that the big problem affecting the club’s push for a promotion spot is the inability to score goals. Bruce arrived at the new Aston Villa manager a few months ago. He replaced former Chelsea manager Roberto di Matteo, who had made a poor start to the campaign. Villa started the Championship season with the aim of being promoted to the Premier League straight away. However, the team are finding it extremely difficult to adjust to the new league. The club are 16th in the table after having suffered a loss in the last four games. The lack of improvement in results after the arrival of Bruce has become a cause of concern for the club. Villa have averaged less than a goal per game in the league this season. They possess one of the poorest goal scoring records it only Wigan athletic and Rotherham United having scored less than them. It is not a surprise that Bruce has identified the forward positions as a cause of concern. Unable to rectify this problem in January, Villa will be left with the possibility of bringing in some emergency loan signings from now till the end of the season in order to climb up the table. The club are only seven points above the drop zone. "We've got to improve in what we do with the ball.But the big problem is we don't score enough. That is our big Achilles heel. One individual error cost us in a game we didn't deserve to lose. We're not scoring and we're getting punished at the other end. I've seen glimpses of them that they'll be ok," said the Villa boss, "so we have to stay with it,” said the Villa manager after the 1-0 loss against Ipswich Town during the weekend.